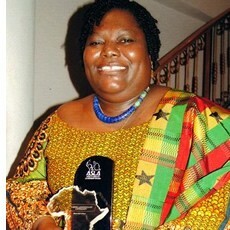 Background: Nana Oye Lithur is a high-profile, gutsy Ghanaian human rights lawyer who champions all human rights including those of homosexuals here in Ghana where it is a crime. She has been nominated by President Mahama for the cabinet position of the Gender, Children and Social Protection ministry. I think her nomination is a stroke of genius: however, her candidature has been met by a fierce reaction by the church here in Ghana. Her vetting will take place either on January 30 or the 31st, my birthday. The vetting sessions are broadcast live on GTV. You can be sure I’ll be watching. And then there’s a more blatant stance coming from the UK. Incidentally, Ghana receives an average of US$36 million per year from the U.K.
Now, it will be interesting to see how strongly President Mahama will defend his choice or whether he will cede to the anti-gay lobby as has his appointee for Foreign Affairs Hannah Tetteh.